If you are looking for a Pompano Beach, Florida security company that you can rely on for total protection, you have landed in the right place. Our company, Millennium Protection Services, has over a quarter of a century of experience in the security industry. The expertise that we have been able to accumulate over the years that we have been protecting people here in the area is hard to duplicate. We understand the needs of our neighbors in and around Pompano Beach, and we have the resources to provide armed guards or unarmed guards for many different purposes. One of our specialties is personal security. Armed guards can provide protection for people who are in vulnerable positions, like visiting diplomats, professional athletes, entertainers, and high profile corporate executives. When you think about armed guards, you may envision reactions to threatening events. This is part of the equation, but it is not the only facet that a quality security service company will address. Logistics are an important part of the equation, and we implement advanced techniques to anticipate potentially dangerous situations before they happen. You can go forward with total peace of mind when you are accompanied by our armed guards because they will be several steps ahead of any potential threats. When you are organizing a special event, you have a lot of responsibility on many different levels. The financial part of the equation is huge, so you have to make sure there are no losses due to theft or unpaid entrances. Plus, there is the matter of attendee safety. It is important to be absolutely certain that everyone at the event will be completely safe at all times. This would include performers or speakers who are going to attract a great deal of attention. 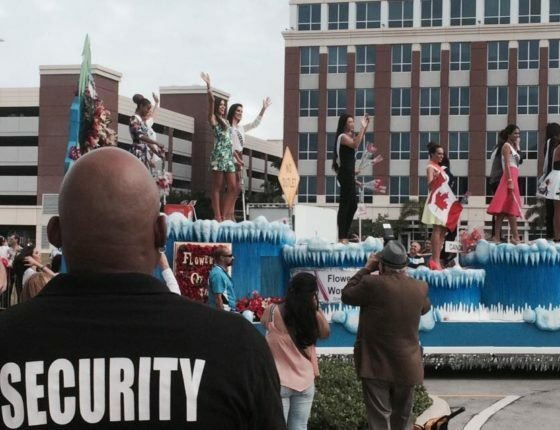 We are the special event security company that Pompano Beach, Florida can rely on for airtight protection. Get In Touch With Millennium Protection Services! In addition to our personal security service and special event security, we also offer security patrol services for residential communities, shopping malls, retail facilities, and other clients. If you would like to discuss your security needs with a member of our staff, we would be glad to help. You can reach one of our knowledgeable Pompano Beach, Florida security service consultants right now at 954-668-2780, and our toll-free number is 800-493-0806.